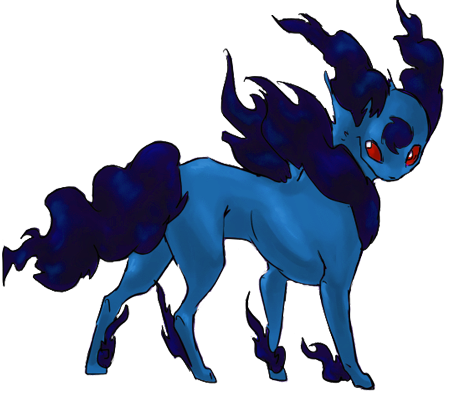 Pokédex Entry- Spectreon is an Eevee's soul bound to Earth, which it wanders after its untimely death. 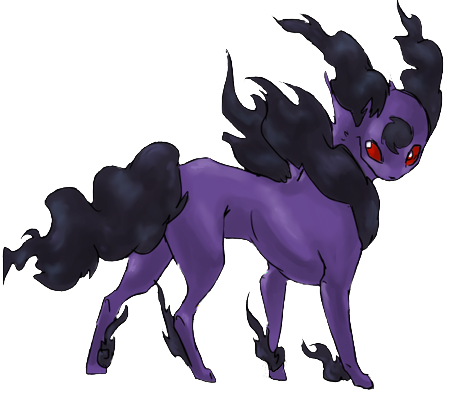 It is a common sight in abandoned places, but most of the time, it appears in its old trainer's home after dying in battle. Some even wait there after the trainer is long dead. Evolution Method- 40% chance of reviving when dead. While it has a percentage of coming back when dying of unfortunate circumstance, it almost never comes back if it is murdered. These pokemon are fabled among eevee, as models of true loyalty. However, a Spectreon that comes back for vengeance is shunned and ostracized, a perversion of the gift of rebirth.